Home » Latest News » Need a cost effective virtualisation solution? Need a cost effective virtualisation solution? Make noticeable savings on your operational costs year on year whilst improving performance…. We’ve helped IT departments achieve reductions of 30% by updating from legacy systems to Energy Star–qualified servers like the DL380G7. Virtualisation creates a number of benefits in the long run from energy savings to lower carbon footprint, from lower management costs to increased hardware ROI -but the initial start up is often expensive. With budgets remaining tight, UK businesses are understandably looking to maximise the value of their IT assets. A range of modern techniques exist to help them achieve these dual goals – with virtualisation among the most prominent. With this in mind we have put together some special offer pricing on the following rack mountable 2u servers for a limited time until stocks last. 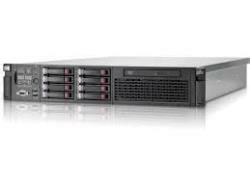 This entry was posted in Hardware, HP and tagged #hp, #proliant, #virtualisation. Bookmark the permalink.